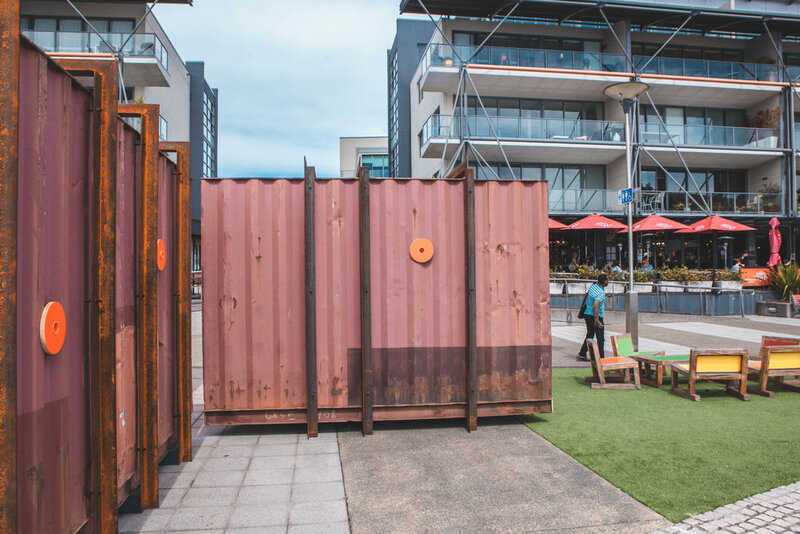 Chatterbox was a project to install a 14-foot shipping container into a number of public sites and configurations in Honeysuckle. 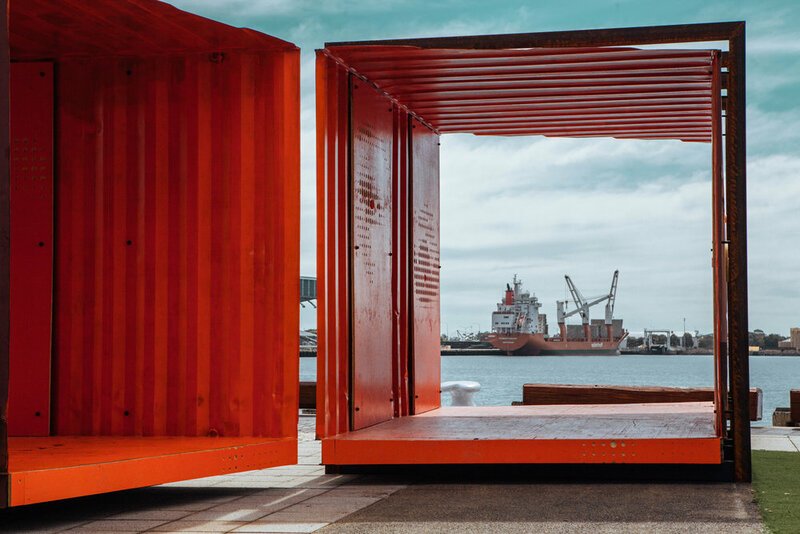 The conceptual approach was to cut the container into a number of smaller pieces, and then to configure these pieces in ways that would focus on views and connect to historical axes in the city of Newcastle. The intention was to promote conversations around the built environment and highlight prominent, and sometimes unnoticed connections from Honeysuckle to the broader urban and geographical landscape of Newcastle. 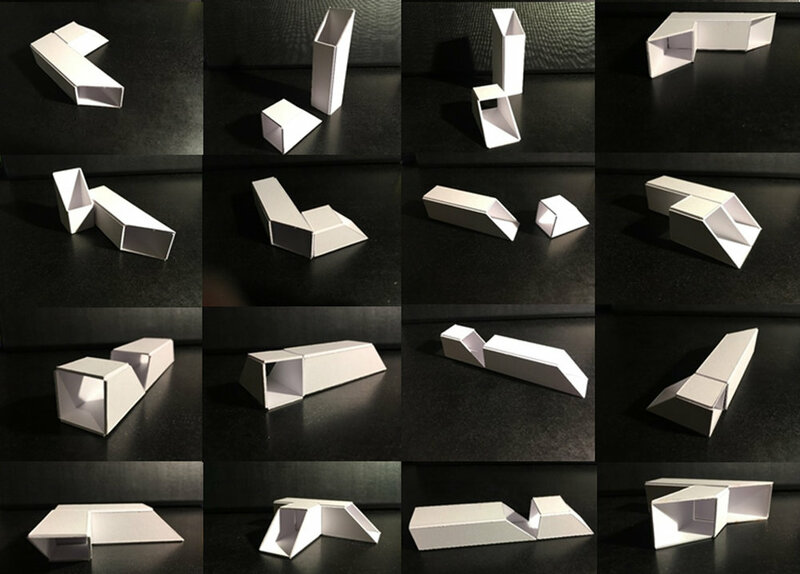 The container was cut into four pieces along oblique angles that created a maximum number of possible iterations and configurations. A series of rusted steel portal frames were fabricated to create an exoskeleton that would stiffen the container parts and allow for transformation. The exterior of the container was left in its patinated and weathered condition. The interior was lined with plywood panels, that were painted a vibrant orange colour and CNC routed with a digital patter nation. The pattern was derived from the eyes of a range of female participants in the city, of various ages, demographics and aptitudes. At the height of the iris of these individuals, a hole was cut, allowing people to see out of the container from these various perspectives. There were 12 perspectives in total. 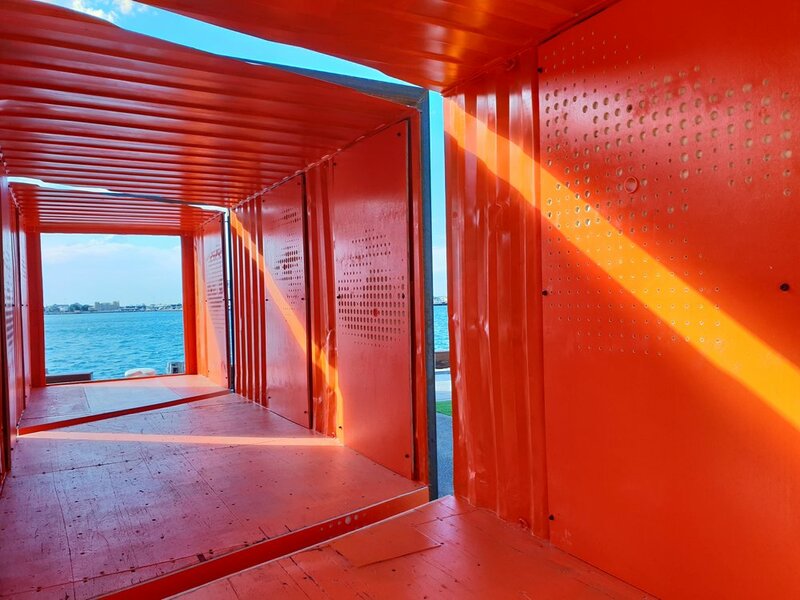 The entire interior surfaces of the container (floor, walls, ceiling) were then painted in the same vibrant orange, creating a dramatic contrast between the inside and the outside. 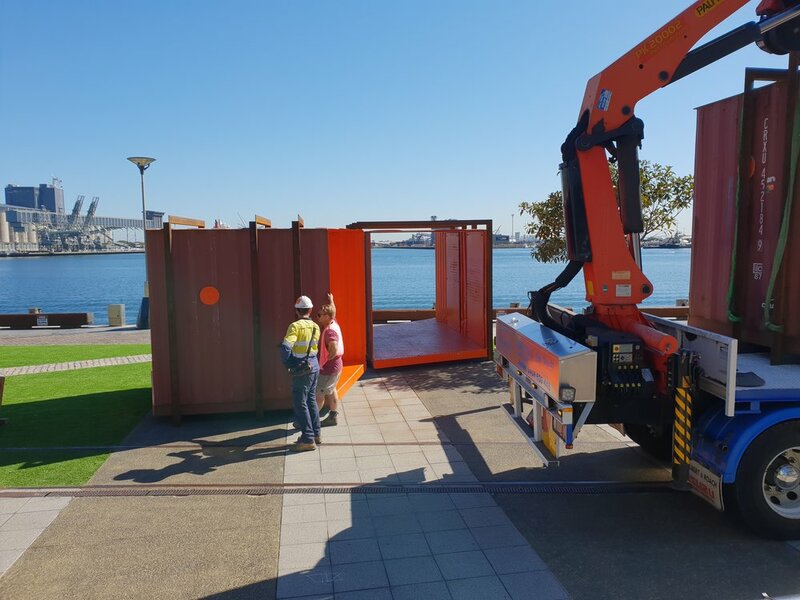 The first iteration of the container was placed along an axis from the Civic Council chambers, framing the original Council Building (by the architects Romberg and Boyd) at one end, and the Carrington Pumphouse, by the architect, Barnet at the other. 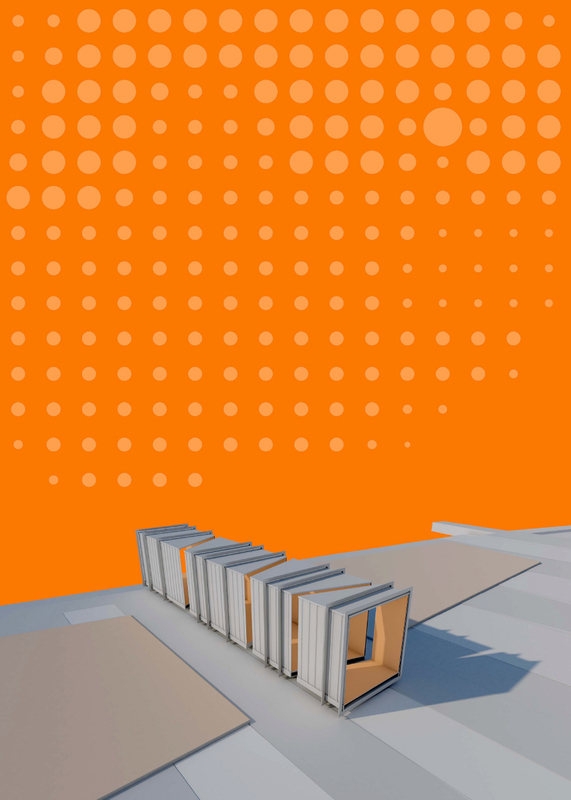 This gesture cut the existing pedestrian access perpendicular to the direction of pedestrian traffic, leaving small gaps for cyclists and pedestrians to pass. 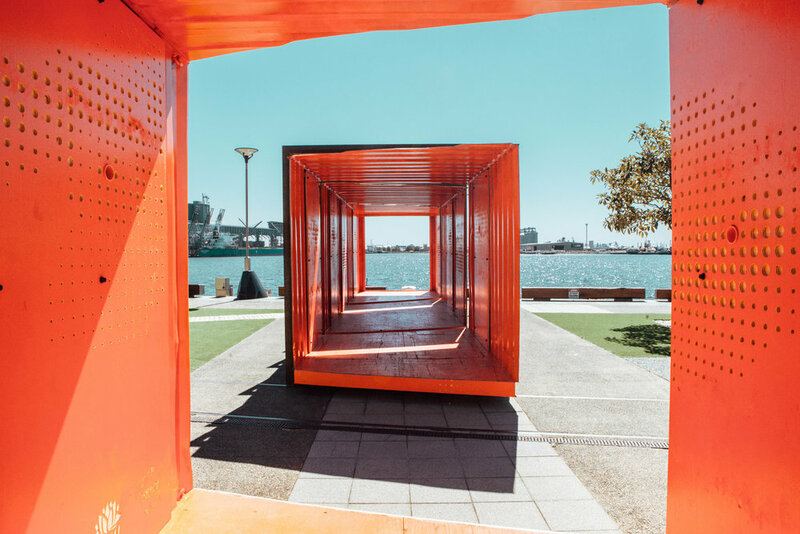 This blockage effectively divided the space into two smaller, more sheltered and more intimate public spaces, and offered people the framed views of the harbour as the users passed through. The configuration became a popular spot for exploring the harbor and was immediately popular with children as a place of play. It also had the combined effect of increasing engagement with the public spaces either side, which became less exposed and more comfortable places to sit and relax. The bluntness of the installation in its original form meant that it drew attention to two iconic Newcastle landmarks—the Council Chambers and the Carrington Pumphouse—currently searching for a future use. 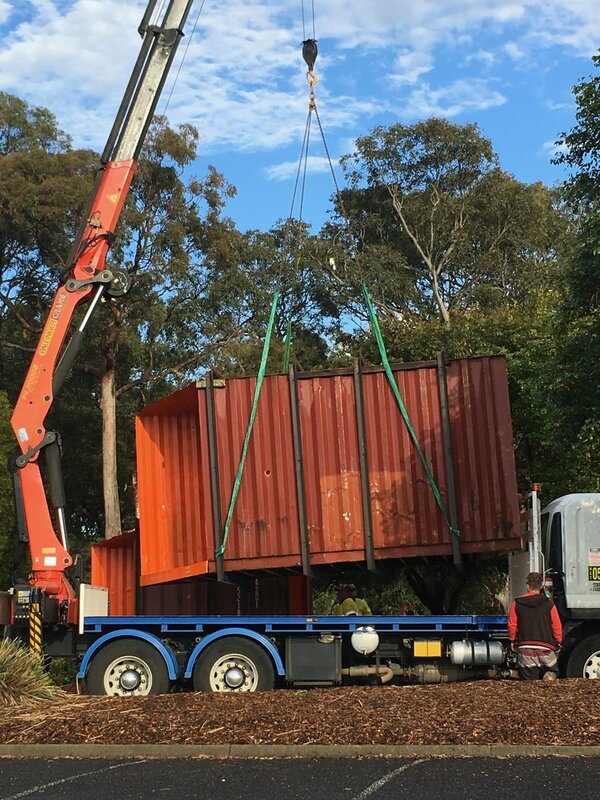 The second iteration of the container was more fragmented and scattered the four parts of the container across a larger area of the Honeysuckle foreshore. Two of the fragments were used to frame a view of Nobbys from the Honeysuckle Drive axes, and the other two were placed perpendicular to reconnect with the harbor. 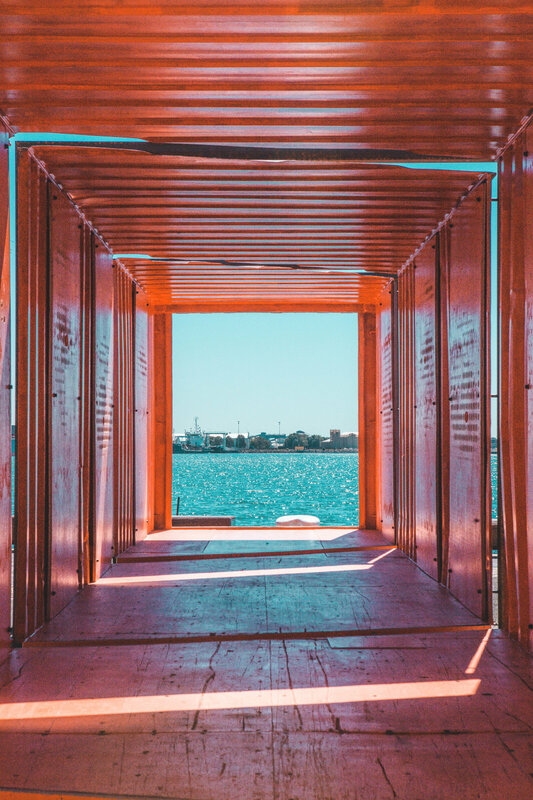 This hinge condition invited participants to explore visual corridors in both directions, as well opening up the container and making it more accessible to the public. This configuration was less disruptive for pedestrian traffic, and also took into account the views of restaurants within the area. The more open nature meant that there was a higher level of engagement with the public, and people had the option of walking through the portals or walking around them. It also created a number of key vistas for photographs, which gave the project a life on social media. The final stage of the Chatterbox installation was the curation and mounting of an exhibition of architectural projects from undergrad, postgrad students and staff at the School of Architecture and the Built Environment. These panels were mounted on the interior walls of the containers, creating an inside/outside gallery, that pedestrians could meander through. The projects featured in the exhibition opened onto alternative modes of practicing and offered alternative options for projects within the city. The intention of the exhibition was to further promote discussion about the role of architecture and architects in creating public spaces, and the Chatterbox intervention, which disrupted the conventional use of a public space, created an excellent forum for this work to have a broader dialogue with the city. 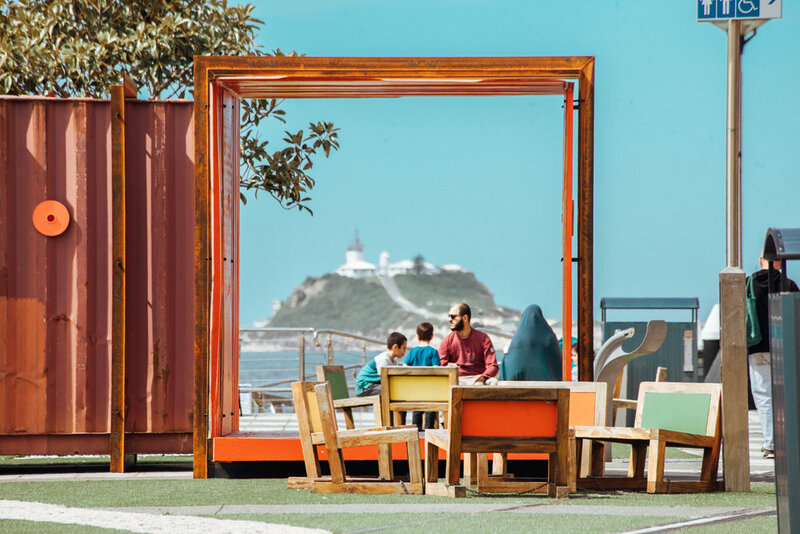 The Chatterbox installation remained on site for a period of seven weeks (four weeks longer than the original intended term) and had a dramatic effect on the amount and nature of engagement that the public had with the space. The various iterations of the project encouraged different types of engagement and exposure, and also tended to promote interest in the project beyond its original installation, the public feedback about the project was overwhelmingly positive, and the temporary nature of the project meant that people came down and revisited and re-experienced the site several times over the course of the installation. 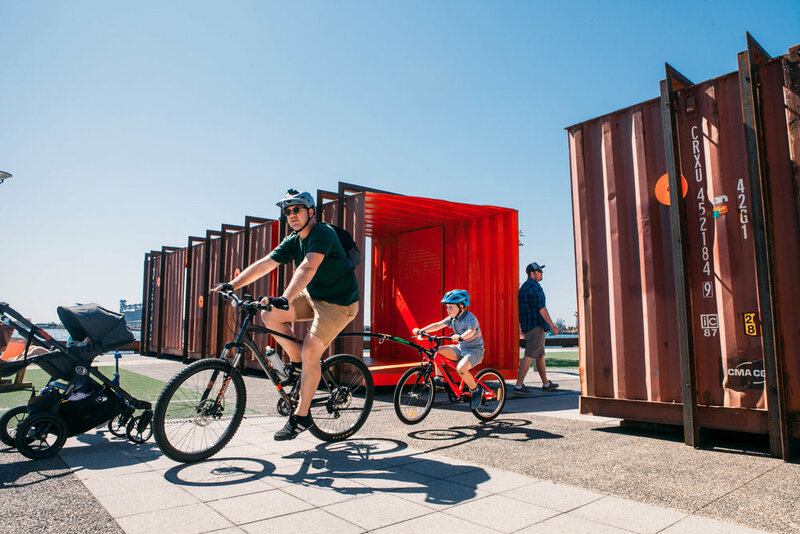 In all its forms, the Chatterbox installation proved particularly popular with children, and created a safe and engaging form of public space which younger people could be a part of. 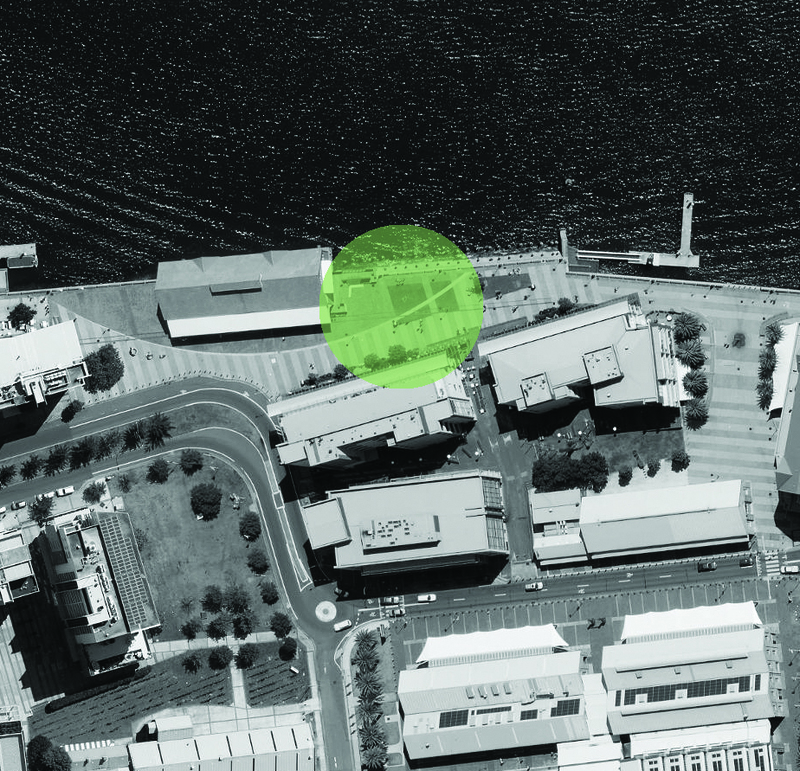 With a relatively modest palette of materials and working within the urban logic of the existing spaces, Chatterbox was successful as an intervention that drew out latent potential within the public space of Honeysuckle, and framing views and connections to broader spaces, landmarks and arguments within the city.